So what do you think? Does this cover scream steampunk or what?!? 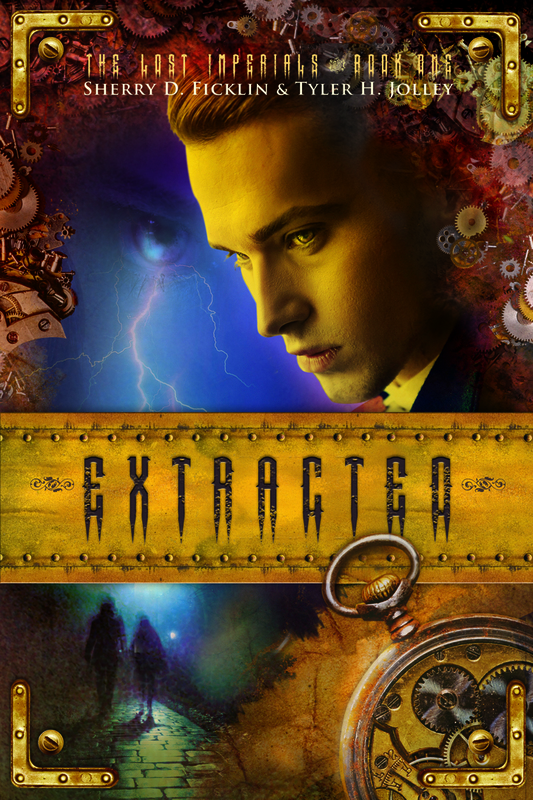 Lisa Amowitz has designed awesome covers for SHP, and Extracted's cover is just as great! 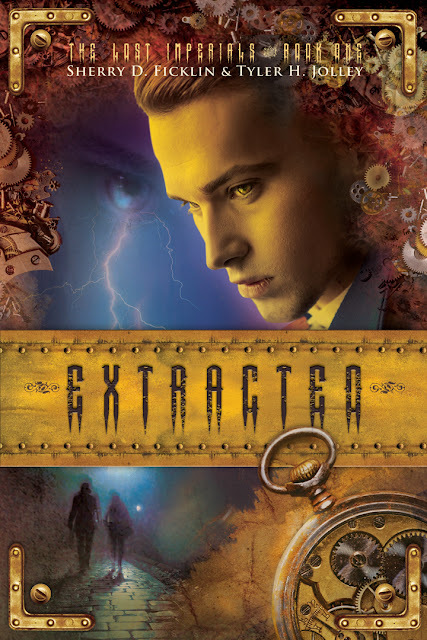 Extracted is the seventh novel by Sherry D. Ficklin and the first with co-author Tyler H. Jolley. Tyler H. Jolley was born in the era of the Star Wars and the Indiana Jones sagas. He has been enamored with science fiction and adventure stories ever since. In order to support his hobby of writing he decided to pursue dentistry. He graduated from Nova Southeastern University School of Dental Medicine in 2002. He then completed a four year orthodontic and periodontic residency at the University of Pennsylvania. In June 2006, he opened a private practice, Jolley Smiles, in Grand Junction, Colorado. Snowboarding, mountain biking, road biking, fly fishing, bird hunting, camping, hiking, and backpacking are the things he enjoys doing with his family. He also enjoys lecturing internationally on temporary orthodontic implants. Some of his journal articles have also been published in the Journal of Clinical Orthodontics. However, his true passion has always been fiction writing. When life gets stressful he escapes to unseen worlds to find relaxation. His career has been the vehicle to let him write without worry. He finds inspiration from most of his adolescent patients. He continues to dream up fun and thrilling books to this day. Thanks for featuring this! I personally can't wait to read the book myself! You're welcome Lisa! I'm really excited for this one too; time travel is one of my favorite themes! Thanks for helping us show off the cover! We love it!